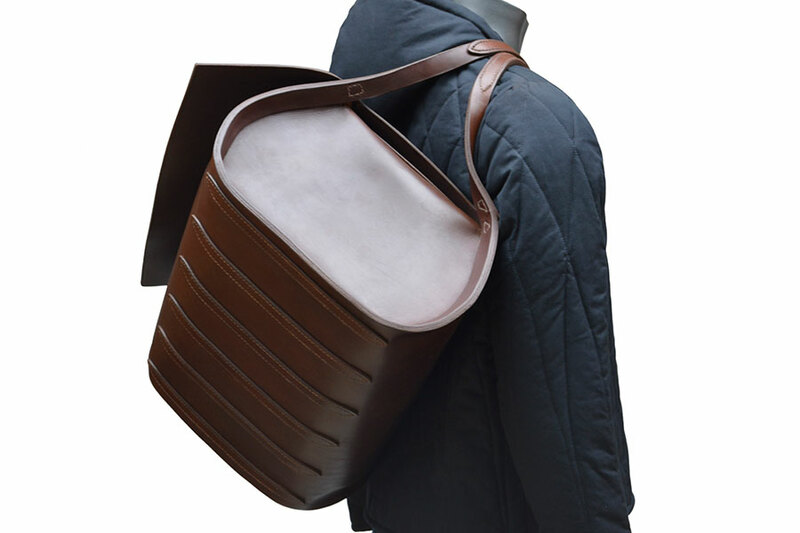 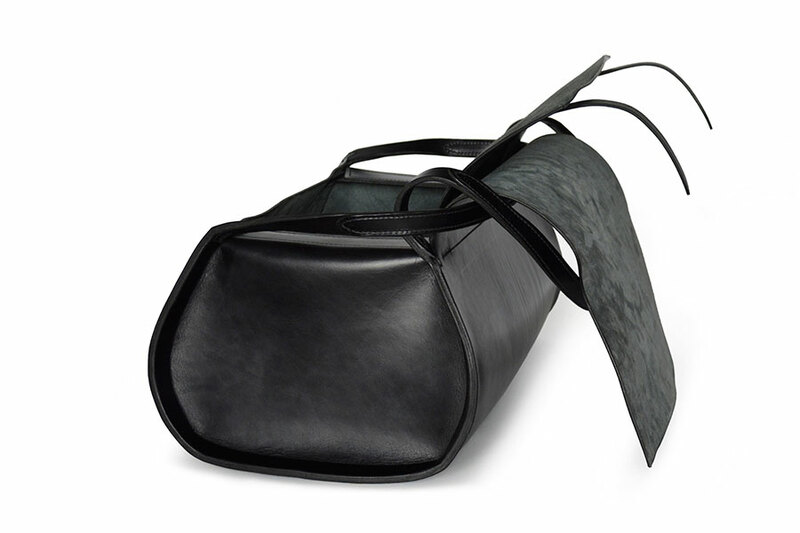 One of the original DE BRUIR Studio designs, made from a large sweeping portion of structural leather. 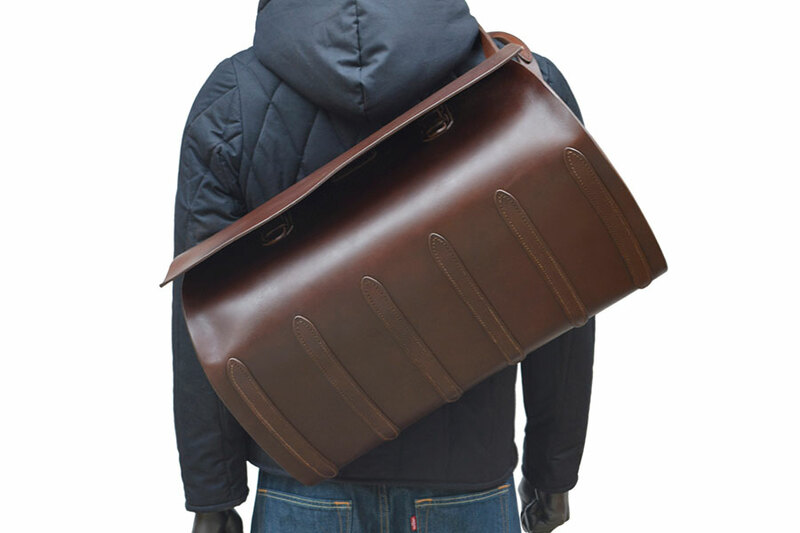 A row of skids protects the base and adds aesthetic value. 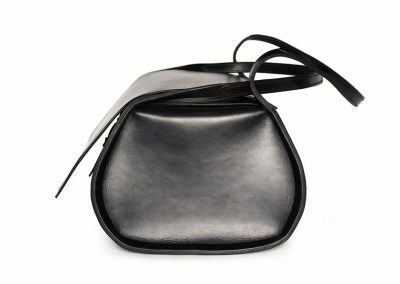 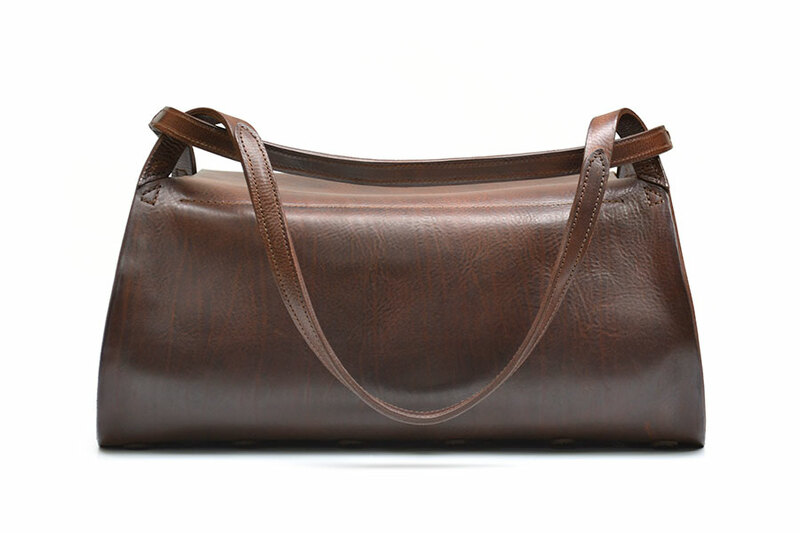 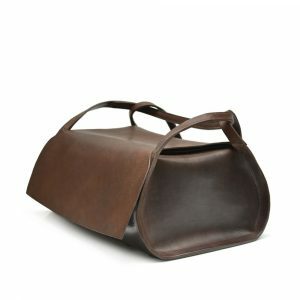 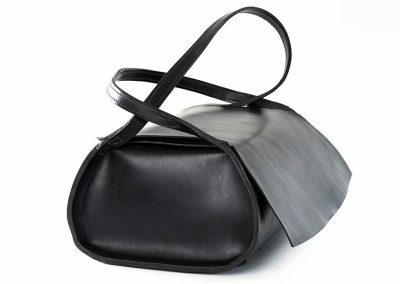 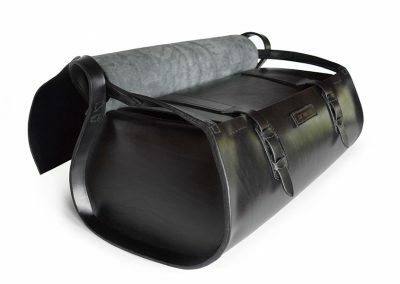 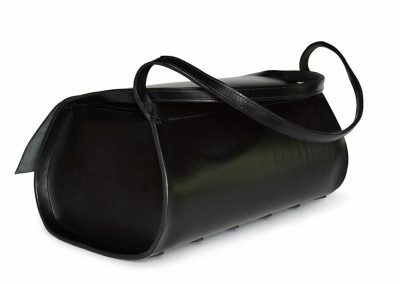 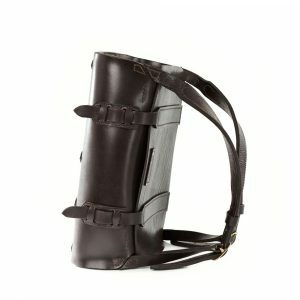 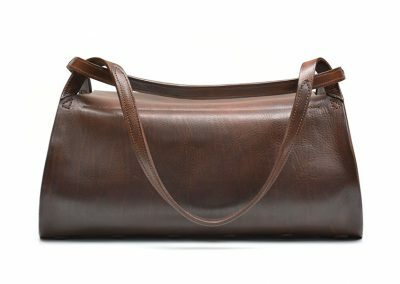 The bag features simple leather or brass buckle closing options. 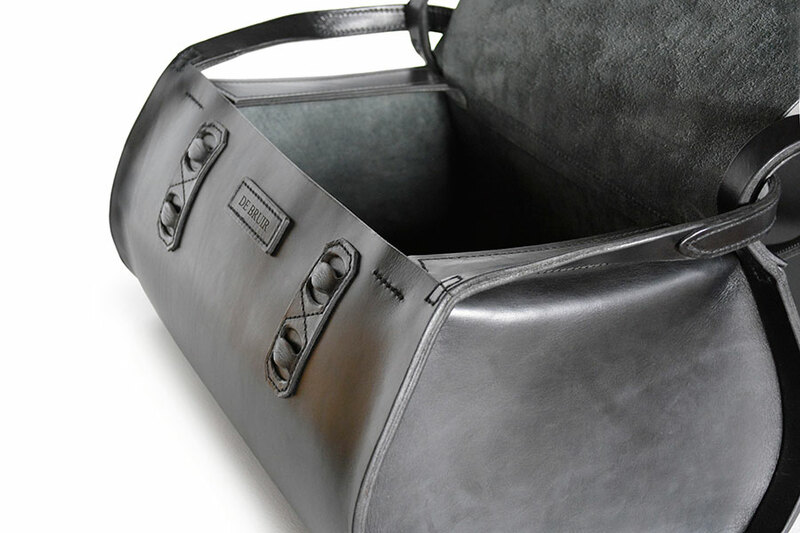 The Cabin Bag meets aircraft carry-on size specifications, fitting perfectly into overhead luggage compartments. 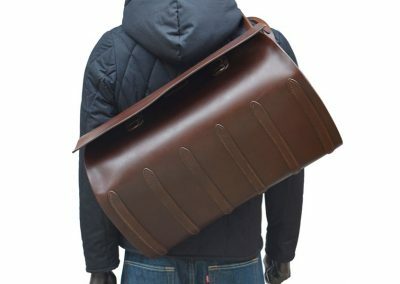 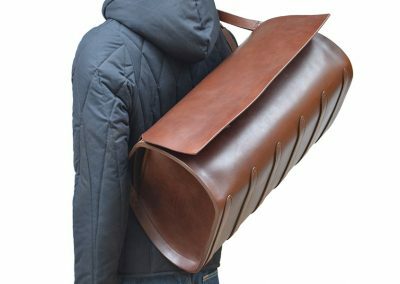 Carry across the body for ease of use when on the move. 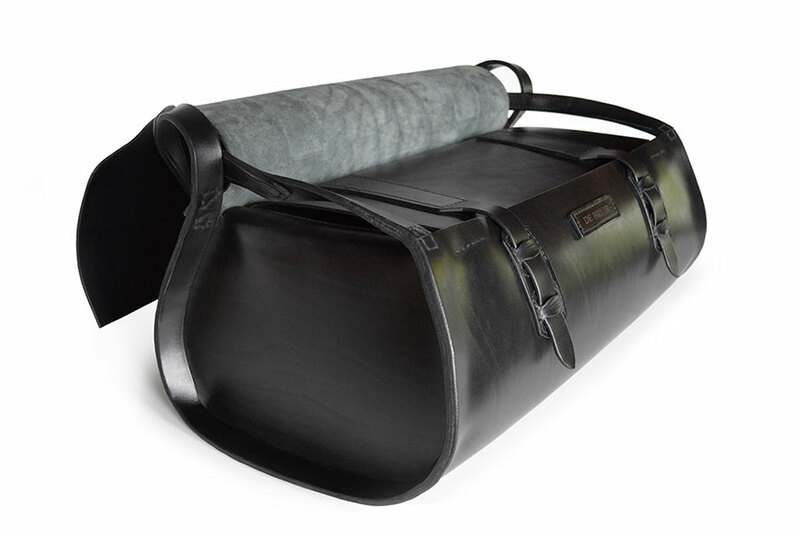 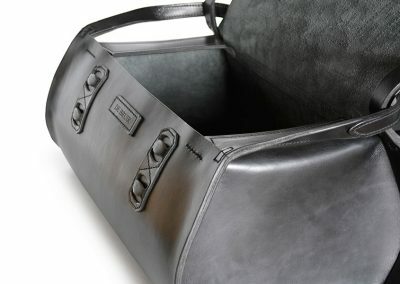 The Cabin Bag presents a unique contemporary design for your carry-on luggage. 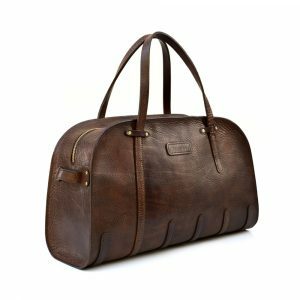 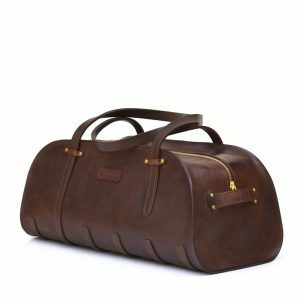 It is a sophisticated yet solid piece of cabin luggage that will endure endless travelling and continually look better with age and use. 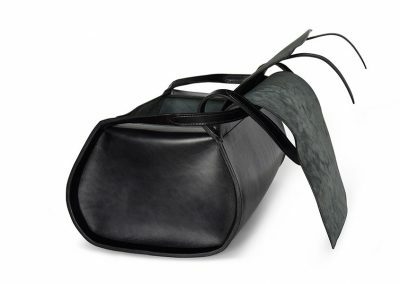 The holdall is constructed from a large sweeping piece of structural leather combined with a series of hand-cut components. Many hours of hand craftsmanship are involved in creating this lifelong design. It meets aircraft carry-on size specifications and fits overhead luggage compartments.